Feeling sluggish or frustrated about the lack of time to fit in all that we need to teach? Need your students to get their wiggles out? Selfishly, I love to get my class outside and moving so I can also get in some exercise! But did you know that walking and incorporating movement into your day not only lifts your mood, but it also makes you smarter? 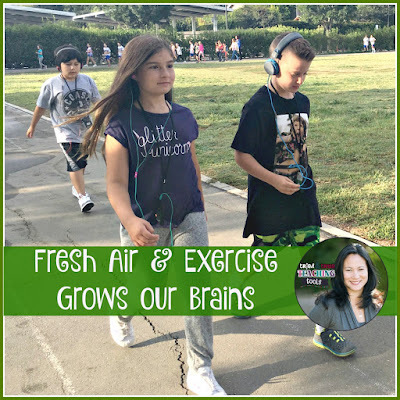 According to Raise Smart Kid, "exercise increases the flow of blood to the brain. The blood delivers oxygen and glucose, which the brain needs for heightened alertness and mental focus. Because of this, exercise makes it easier for children to learn. . . According to John Ratey MD, an associate professor of psychiatry at Harvard Medical School, exercise also stimulates nerve growth factors. “I call it Miracle-Gro for the brain,” he says. People who exercise regularly have improved short-term memory, exhibit faster reaction time, and have higher level of creativity." 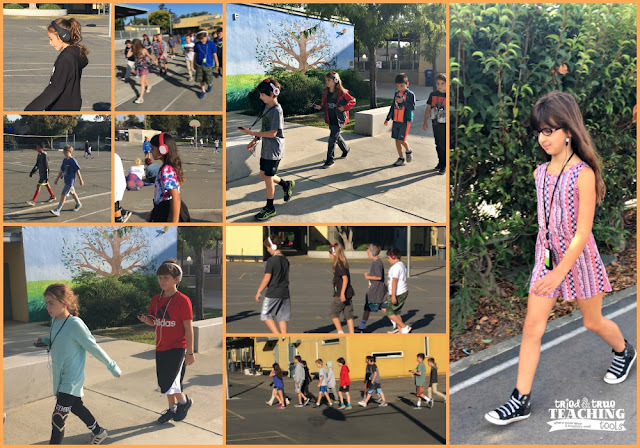 The Walking Classroom is one of the highlights of our week. You can read more about this fantastic program here. 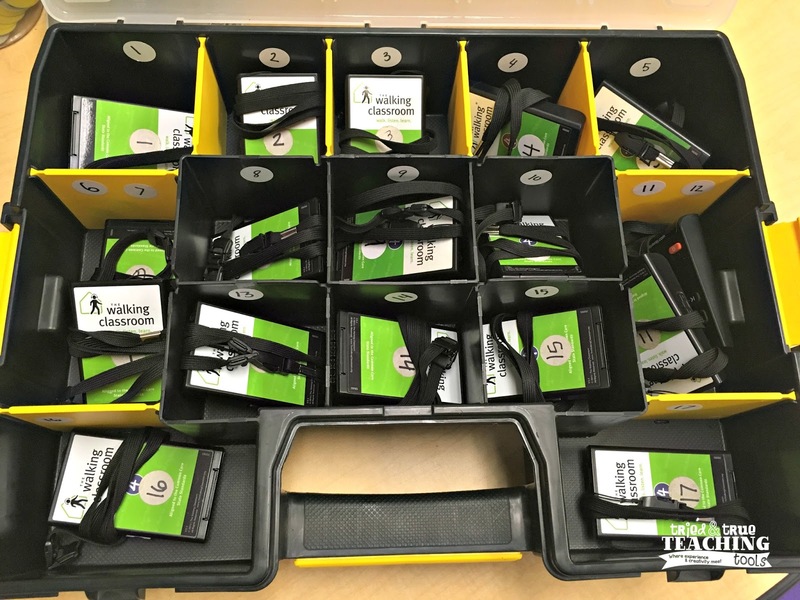 To better utilize our precious time, here are just a few tips to help with keeping the walk kits organized. 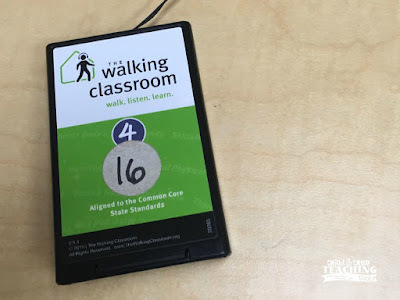 Label each walk kit with students numbers. This eliminates arguments about whose is whose. 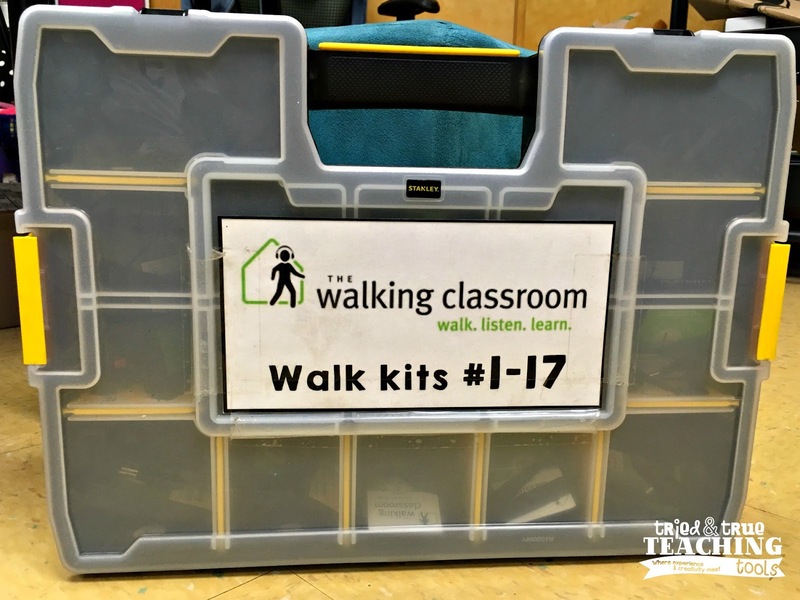 We keep our walk kits in two separate boxes with handles: #1-17 and #18-34. This eliminates the stampede to get the walk kits; only half the class lines up at a time (in two different areas of our classroom) to get their walk kit. Each compartment fits the walk kits perfectly, is also labeled with student numbers, simple for students to find and return. 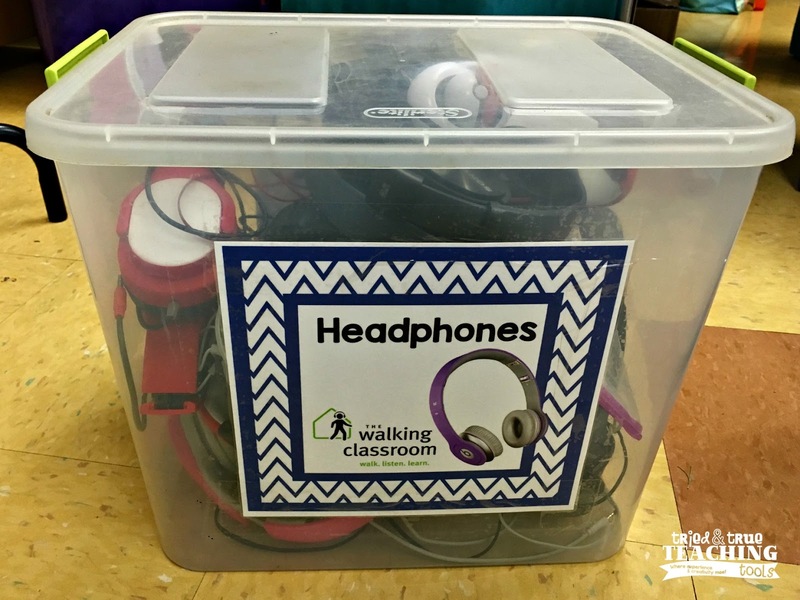 While many students wear ear buds (& keep them in a baggie in their pencil pouch), others brought full-size headphones. We keep these labeled headphones in a separate box, again making for easy access for students. These simple tips help to save time, as we get ready to walk and to put everything away quickly and organized for the next time.